YouTube is the most overlooked marketing channel in the entire marketing mix these days. All of the social media attention is going to Facebook, Twitter and the visual channels like Pinterest and Instagram. All of the digital media attention is going to native advertising and the likes of Buzzfeed and Vice. There’s just one big problem with ignoring YouTube — it is the #2 search engine behind big brother Google. Ignore it at your SEO peril. 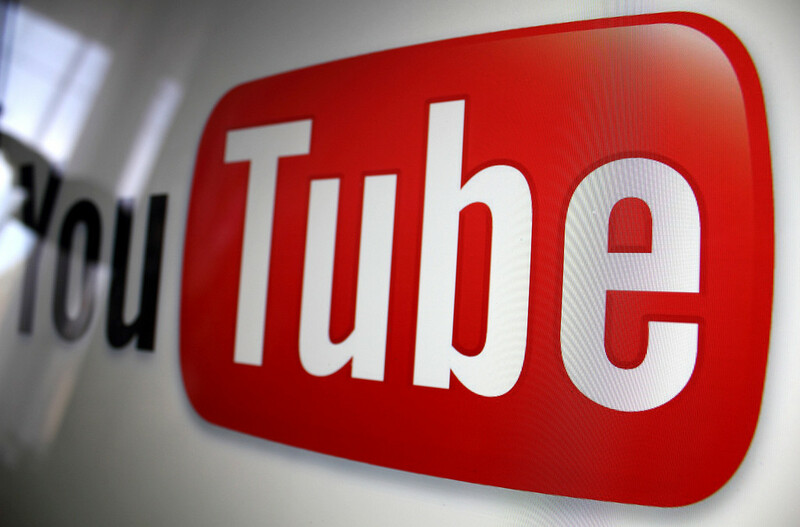 The good news is that businesses and brands are starting to wake-up to YouTube. That’s why we are starting this series on YouTube for Business. It captures our learnings from helping big brands win on YouTube for the past six years. That’s an eternity in YouTube years. Our plan is to cover the seven key topics that will help anybody get more views, grow their subscribers and build an engaged and valuable audience and business on YouTube. We got our start doing this for sister company Howdini, which we grew into one of the top How-To destinations on the web. Since then, we’ve started to focus all our attention on building YouTube channels for big brands. 1. Facebook is fickle and expensive. They make you pay for the priviledge of talking to “your” audience. Oh wait, that’s not actually your audience. It is their audience. And that’s the dirty little secret of Web 2.0. We are building both the content and the audience for some of the most powerful new media companies on the planet. It’s called Digital Sharecropping. And it is a problem for many companies who’ve invested millions into their Facebook “followings” only to find out they aren’t really following. The good news is that YouTube is way closer to an audience of your own than any of the other social channels. And on top of this, they have great tools that allow you to actually convert views to subscribers to an audience. And the path is way easier than on the fast flow feed of Facebook. 2. Twitter is not an audience…it’s a following. Speaking of fast flow feeds, Twitter is the king of flow. In fact, their former VP of Media called it just that. Robin Sloan coined the term Stock & Flow and it is a good way to think about content for your business. Flow is real-time, now, topical, in the moment. Post it. And it’s gone. No SEO. No tomorrow. Stock is evergreen. It is great for SEO. It is built on your expertise. It is what you are known for. Build it once. It builds your business. Forever. You need both stock and flow. But for different reasons. Stock is your content. It’s where you invest your content dollars. Flow is your distribution. It’s where you promote your content. Yes, you should share others’ content liberally, but we are talking about you right now. Twitter is great for growing a following. So, you can promote your content. Yes, I know everyone says, “don’t just talk about yourself.” You should listen to them in order to build your following. But you should leverage that following to promote your content. Your video content. That lives on your YouTube channel. Then when people come visit, we’ll show you how to convert that view to a subscriber to an audience you really own. 3. Google+ … who knows? Google is notoriously fickle about their algorithm. And they just made massive changes to it again. This time eliminating Google Author Rank. What is that? Well, don’t worry about it now. Although everyone spent the last six months trying to figure Google Authorship out. Just when we did, Google turned it off. What we do know is that for now, Google+ seems like it is helping you rank better in your Google search results. If you don’t know why that matters, then don’t worry. We’ll talk about Search, Syndication and Sharing as three discovery strategies for your content. For now, just know that the almighty Google+ has a questionable future. 4. YouTube is an audience of your own … or it can be. One important first lesson is this: having lots of views doesn’t mean you have an audience. But you knew that. And you also knew that having lots of subscribers does NOT mean you have an audience either. So, what is an audience then? Simple definition: a group of people who WANT to see your content. Even better if they would pay for it. Although we are going to give it to them for free. We make our money elsewhere. How to know if you actually have an audience? If 30%+ of your subscribers watch every single one of the videos you post to your channel, then you are on your way. If you are closer to 50%+, then you have an audience. 70%+ is a crazy bunch of fans. How to get there? We’ll get to this. It comes down to thinking and acting like a YouTuber. I know, you just got used to acting like a Publisher. Well, this is related. It’s just focused specifically on YouTube. Yes, you know this. But there are two really important lessons here. Let’s look at them very quickly. GoPro succeeds because it leverages its audience to make its main content. GoPro — just in case you don’t know — is the tiny HD video camera that’s all the rage with the extreme sports set. They have a built-in group of creators who love making content using the product. It is this crazy circular loop of product demo as content as promotion for the audience themselves which helps sell more product and create more content producers who make more product demos. Yeah, dizzying. And a killer business. How can you learn from this? We’ll look at some ways. RedBull is an entirely different story. They are a soft drink … and energy drink actually … and they make a ton of content for YouTube and elsewhere. But it has nothing to do with their product. It has everything to do with their audience. They know them. They know what they love. And they bring them that content. And their audience rewards them with their attention. And their loyalty. There’s a reason why RedBull’s marketing is a profit center. And they have 60% market share. But not as many as should be. Why is this? Because they have not focused on YouTube. They thought it was just a site full of user-generated junk. You know. Cat videos. Stupid human tricks. Etc. Yeah, it is that. But it is so much more. It is the new TV. I’m not the only one saying this. And people aren’t just saying it. They are putting serious dollars behind it. Both to create content and the tools and analytics you need to build a great channel. 7. YouTube Creators are brands themselves … with products! Michelle Phan started out making how-to beauty videos in her bedroom 6-ish years ago. She’s now a beauty guru and cosmetics brand. She signed with Lancome. Launched her own line of products. And boasts 6+ million subscribers. All of her videos get millions of views. Yes, millions. That’s like a good cable TV show. It’s like a great one. And she makes a new video every week. She’s not alone. There’s a host of other beauty gurus right behind her. They are eclipsing brands’ share of voice on YouTube. Bethany Mota also started out making videos about beauty, style, fashion and her life. She’s broken out from YouTube alone now. She’s a contestant on Dancing With The Stars. Yeah, old media. I know. But a huge validation of her audience pull. And their loyalty. These are real stars. Real brands. Real audiences. And real business. YouTube is not UGC garage sales any more. If you’ve not been there in a while, then you should go there. Like now. Well, first, make sure you subscribe to this blog so you can get all 7 installments of the series sent right to your inbox. What could be more convenient? We are going to walk through, step-by-step, how to build your business on YouTube. Grow views. Grow subscribers. Grow an audience. Of your own. Stay tuned. And subscribe.